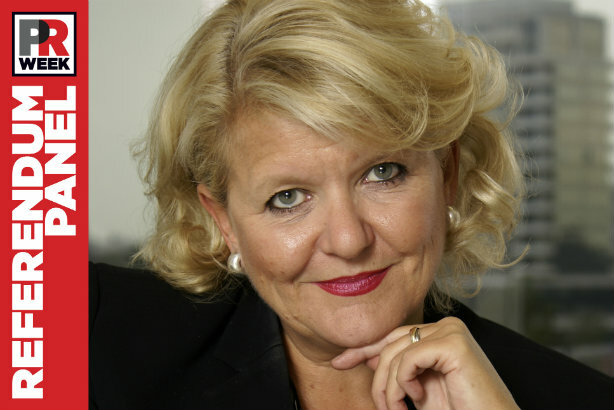 PRWeek EU Referendum Panel: As the nightmare begins for Gill Morris, the 'remain' supporter and public affairs chief says lessons must be learnt from the EU referendum campaign. OMG! What have we done? The markets are crashing and the prospect of Boris Johnson becoming Prime Minister now looms large. We knew it would be close but few, including the pollsters, really thought that Brexit would really happen, did they? Indeed it looked like 'remain' would win by a nose. What's going on? The 2015 general election result, Jeremy Corbyn's leadership win and now this. The people are deciding the unexpected and we seem to be living in a twilight zone democracy where strange things happen. Even though 'remain' had the better team by a country mile and the best supporters by far, it was the swivel-eyed loons who got the ball in the back of the net. We predicted that London, Scotland and Northern Ireland would vote 'remain' but there were some very odd and surprising results in our cities kicked off in Sunderland and followed by Sheffield and Nottingham. More often, it was the areas with low immigration and high economic deprivation that voted to Brexit – look at Wales. Lessons need to be learned by all our parties about getting the message right. Clearly, the 'remain' "don't risk it" economic arguments, which were strong, failed to trump the "take back control" message. It's too late for Cameron, whose days are numbered and who will be blamed for this God Almighty (and avoidable) mess, but Labour now has an opportunity to get back on its horse and take back its heartlands outside London. So it was the Brexit "take back control" message that won it. Ironically, the result means the UK will be out of control for at least for two years. As predicted, the City and Conservative Party are now in freefall and they will continue to struggle over the bumps in the road as we negotiate a protracted Brexit. I fear that our worst fears will come true and the ramifications will be stark. Jobs and rights will be lost, our security weaker, the economy in meltdown and the potential for the break up of UK and the EU is more than probable. What's Scotland got to lose? Nor can the prospect of a general election before Christmas be ruled out. This isn't a new dawn it's a living nightmare.